This apparatus is used for single-housed baboons of all ages. The device is a wire suet feeder used for birds and squirrels. It can be purchased from Walmart, Home Depot, etc. There are many sizes and shapes, and the cost is anywhere from $3-20 dollars depending on size. The feeder pictured is a large suet feeder. 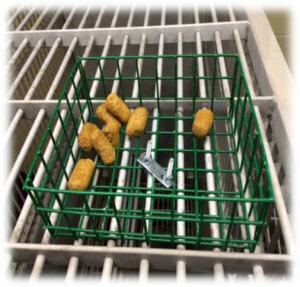 The hinged door of the feeder was removed (but can be left on), and the remaining portion of the feeder was attached to the top of a group 6 cage using a U-bolt, plate, and 2 nuts. The wire feeder takes a few minutes to attach to the cage and is easy and fast to fill. Use Lab Diet 5045 biscuits, which fit through the feeder when manipulated, but do not fall through. 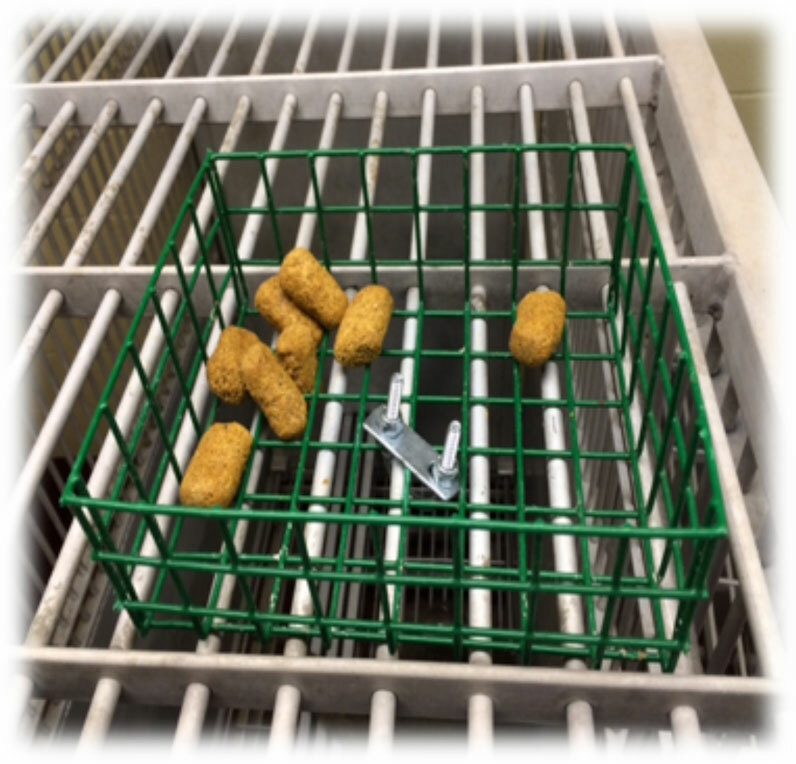 The baboons must stand up and reach through the bars of the cage to manipulate a biscuit, encouraging them to work for their food. 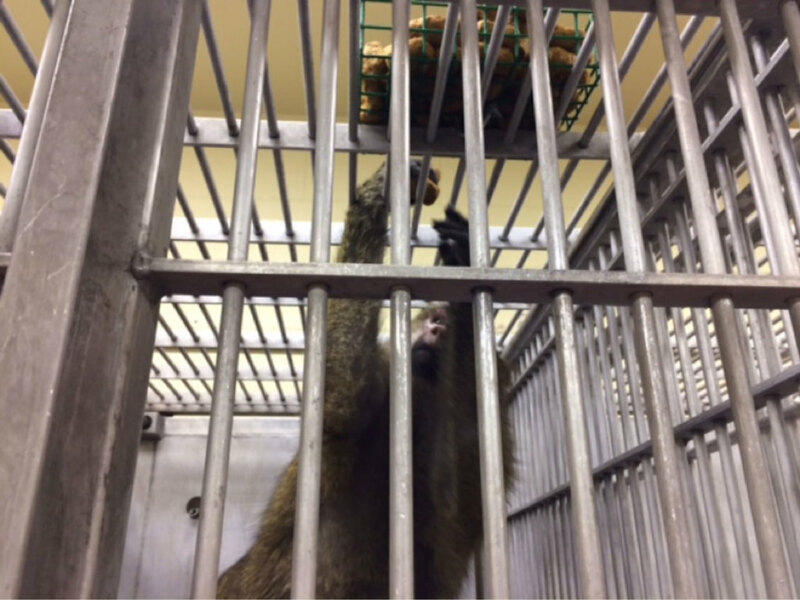 Using a normal-sized metal feeder that comes with the cage, our baboons consume their biscuits on an average of about 10 minutes, and/or they dig through their cage feeder and drop half the biscuits on the floor. With the wire biscuit feeder, the baboons increase their eating time to 30-45 minutes and drop only a few biscuits on the floor. Not only can biscuits be used with the wire feeder, but produce or any other food treats can be added as well!